Yes, it’s a good idea to wash all your produce. Yes, there are pesticide residues on a lot of fruits and vegetables, and some of those pesticides might be harmful. But before you eschew produce forever, know that your chance of getting a food-borne illness is slim. 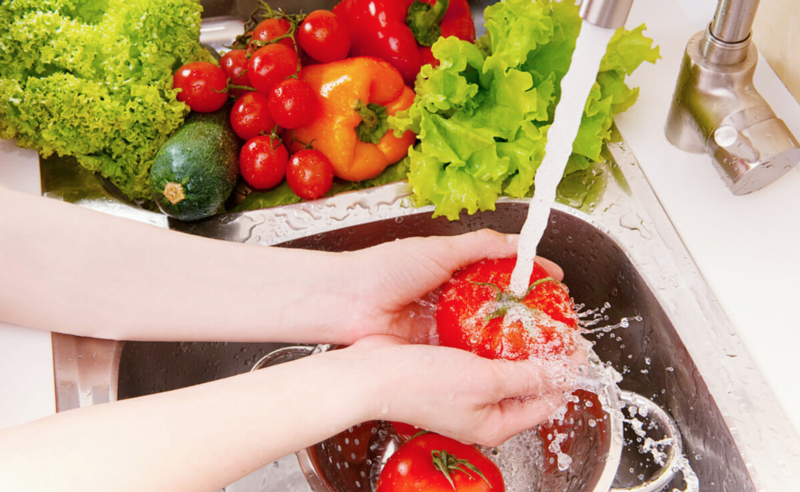 Precautions, like rinsing your produce and cutting away mold, make that chance even slimmer, but there’s no need to go crazy on your veggies with an expensive produce wash.